Losing your car keys can feel like a disaster, as you have no way of getting inside the vehicle or driving it. And you may assume that it takes days to get a replacement key. But if you contact us, you can get a replacement key made fast. Our emergency key replacement service is tailored to your needs. We can get your Subaru keys replaced in quick time, so that you can go back to your life with minimal interruptions. 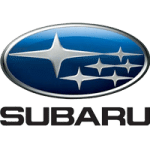 Whether you need a regular Subaru car key, a keyless remote or a key fob replaced, our technicians will have no issues getting it done for you. The beauty of our Door N Key Locksmith service is that we operate on-site. We will come to you, making things even more convenient for the customer! We operate a fleet of fully-equipped vans, which contain all the equipment that our technicians need to create new keys for our customers. When you give us a call, we will send someone to your location immediately. They should be there within 20 or 25 minutes, and they will get to work on making a new key for you. Before you know it, you will have a new key to your Subaru!